I was feeling a bit nostalgic this week. 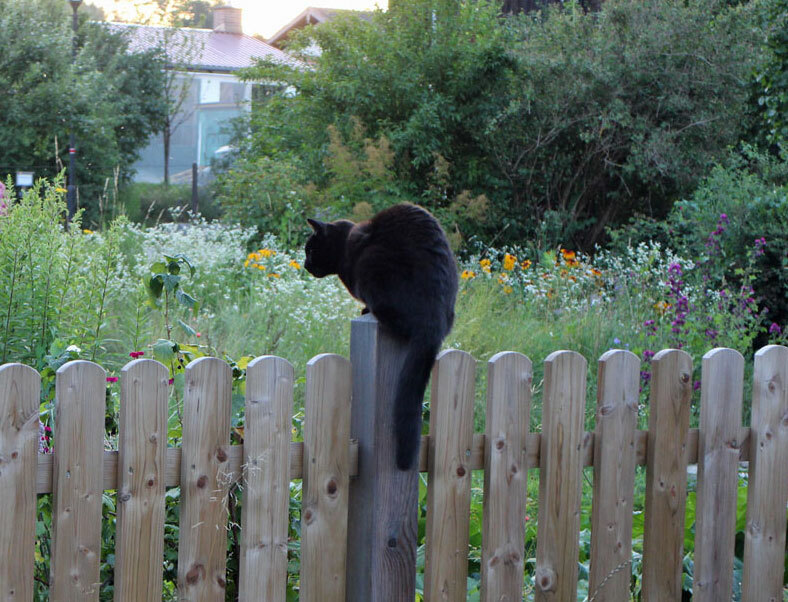 Does anyone remember the time (around 2008-2010) when blogs began to leave their niche and blogging slowly became popular in Germany? I still remember how exciting it was to look at my blog statistics and imagine who was currently reading Beautyjagd – and how much fun it was to meet blogger colleagues such as Jettie (I really miss her unique way of writing), Erbse, Magi, Dani or Paddy for the first time. It’s wonderful to share a common passion. Beautyjagd celebrated its seventh birthday last year and this makes me feel almost like a beauty blogger veteran 😉 . 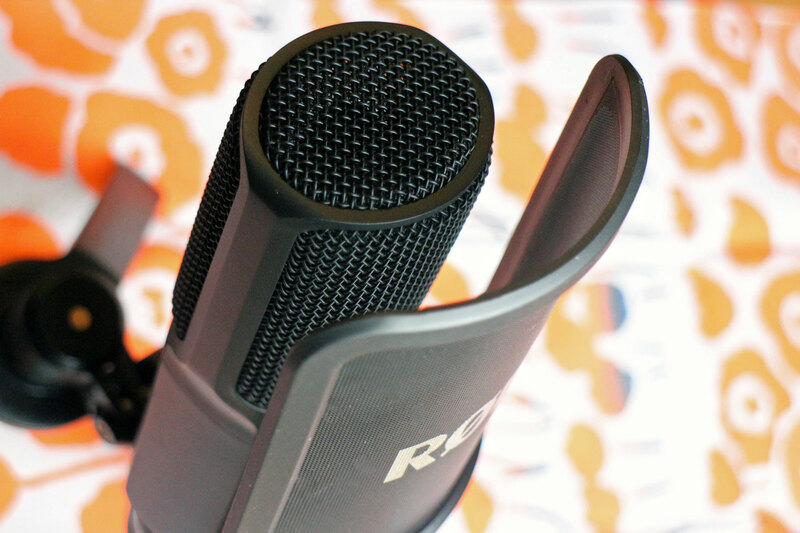 So much has changed in the German blogosphere and I don’t mean that negatively: it‘s a bit like falling in love – after you’ve been together for a few years it sometimes helps to think back to the beginning of your love story, remembering the very first steps. And the spirit of that very special time! These Beauty Notes are all about organic makeup – and in my latest blog post for organic supermarket chain denn’s Bio-Blog I have written about Ultra Violet (Pantone’s colour of the year), presenting makeup options to match this colour trend. My favourite is a kohl eye pencil – for more info head over to the blog! (German only, sorry!). This is a preview: the Organic Flowers BB Pact Foundation from Korean brand Whamisa won’t be launched in Germany until May. This foundation combines makeup with sun protection and was presented at Vivaness trade show in Nuremberg this February. My Foundation, however, is from Cosmoprof Hong Kong 2017 where you can sometimes buy products from the exhibitor booths on the last trade show day. And when I saw that this foundation was on sale I simply couldn’t resist! The BB Pact looks a bit like a cushion foundation – although the jar doesn’t actually include a sponge – and the principle is similar: the liquid foundation is pressed through the 16 small holes in the surface of the compact. You dip up the liquid with a separate little makeup pad and then apply it to the skin (you should blot the foundation onto the skin rather than wipe the pad across it). The BB Pact is available in three shades; I chose the darkest colour (23 Natural Beige) – it’s a little too pale for my skin but still wearable. If you have a real Snow White teint you’re gonna love these colours! The coverage is medium, with a satin finish. I used a mattifying powder on top of the foundation, especially on the T-zone. Compared to the Whamisa BB Pact, Aromatica’s Cushion Foundation is lighter with a more transparent coverage; Aromatica’s Natural Beige is also a lot darker than the Whamisa shade. The BB Pact Foundation is certified by German BDIH, the formula is based on aloe vera; the second ingredient is already the sun filter zinc oxide. You can check out the foundation on Whamisa’s Australian homepage. The foundation is refillable, by the way, like most cushion foundations are. Sometimes it isn’t easy to select the right lipstick colour when you order the product online. 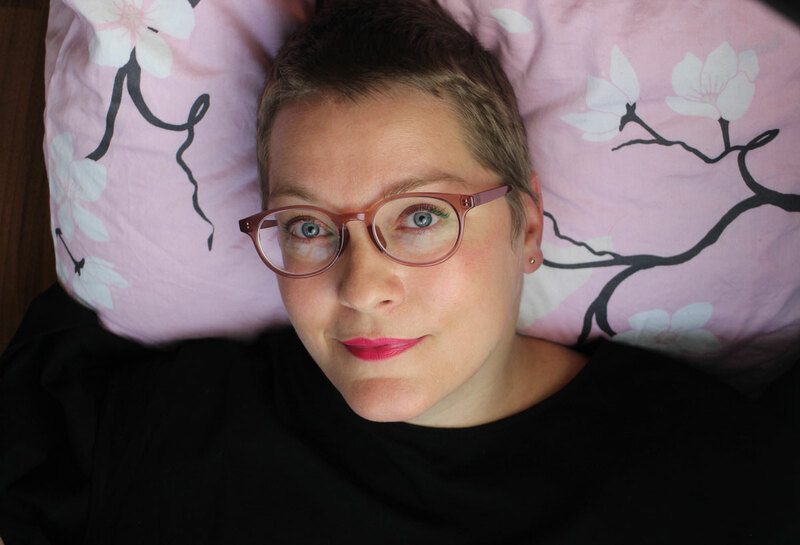 But I was lucky: when Karin from German mineral beauty brand Angel Minerals offered to send me one of her new vegan lipsticks I decided on 09 Rebell – and it is a such a beautifully summery shade! The strong red with neutral to slightly warm undertones (I seem to detect a hint of sunny orange) is highly pigmented – we‘re talking about seriously red lip colour here! The texture is creamy and pliable, a nice mixture of waxy and oily. The lipstick is based on castor oil, sunflower seed oil and carnauba wax and the colour comes from iron oxides and two synthetic colours (instead of carmine). The lipstick has a very light scent of lemon but that evaporates almost immediately. It feels very comfortable on the lips and lasts an average amount of time (but longer than a more oily-textured lipstick would). You can check out all of the new lipstick colours on Angel Minerals‘ homepage. I have already written about the brand in this blog post here. The Duet Perfecting Concealer from US brand Hynt Beauty is said to be one of the best concealers in the world of organic beauty – and it is finally available in Germany so it really need to be included in these Beauty Notes, too! I bought my concealer last summer in Helsinki (you can read about my trip to the Finnish capital in this blog post here). My skin is currently so good that I rarely need to use a lot of coverage – however, when I do need to cover up something the Hynt concealer is my go-to product at the moment. The concealer is packaged in a jar with screwtop (which reminds me a bit of the Un Cover-Up from RMS Beauty) and has a light and flexible texture, more so than the Un Cover-Up. The Duet Perfecting Concealer is based on processed plant oils and plant waxes, with propylene carbonate which is probably synthetic. The coverage is medium but easy to layer; you can check out all seven colours with undertones and all the rest of it on the homepage of Savue Beauty (the concealer is priced at 26 Euro). And another hyped brand: Ere Perez from Australia isn’t a real organic brand but most of the ingredients are pretty natural. Since I was curious about Ere Perez I ordered the Beetroot Cheek & Lip Tint from Tantje in Cologne; the products are also available through Content Beauty and Naturisimo. Let me start by saying that the Beetroot Tint survived a dinner with multiple courses more or less intact (almost unbelievable, isn’t it?) . Beetroot isn’t the only colouring agent in this strong pink tint (the shade is called Fun); there is also a synthetic colourant. The Beetroot Tint is based on water and is very liquid, you have to be very precise with the applicator – the colour leaves a strong long-lasting stain on the skin. I haven’t been brave enough to use the Beetroot Tint as a blusher so far but on my lips I like the strong, eye-catching pink very much. I apply a lip balm on top of the tint because it isn’t particularly moisturising. You don’t feel the colour on your lips at all; it lasts very long even if the colour intensity fades a little after a while. And you need to use an oil-based makeup cleanser to remove this lip stain and even then, the colour doesn’t disappear immediately. A wow product which I really need to test out further. For more pictures, please take a look here. French organic beauty brand Absolution has launched three new makeup products: a mascara, an eyeliner and a creamy concealer (in four shades). All products are certified by Ecocert. More information is available here. US brand 100% Pure is introduced a new makeup palette which is called „Better Naked“. Hello, Urban Decay 😉 . For more information, click here. German organic beauty Logona is celebrating its 40th birthday with the launch of the Organic Elderflower duo set (which includes a shower gel and a hand cream). It was wintery cold when I took the train from Nuremberg to Planegg near Munich last month. I was on my way to visit Reformhaus® Mayr, an interesting example of the new generation of Reformhaus® stores. But before I begin this Sponsored Post (in cooperation with the Reformhaus® brand) I’d like to give you a little background information on the Reformhaus concept – if you live outside of Europe you might not be familiar with this store type. Reformhaus stores originated in Germany. There are around 1200 Reformhaus® stores in Germany and around 100 stores in Austria (another German-speaking country) plus a few stores in the German-speaking part of Switzerland. And although there are some smaller Reformhaus® store chains, most of the German Reformhaus® shops are independently-operated stores and/or family-owned businesses. Despite the fact that Reformhaus® shops are such an interesting – and uniquely German – retail channel I must confess that these stores have been a little underrepresented on my blog so far – perhaps because in my imagination Reformhauses are still dusty old-fashioned health food stores. However, Reformhaus® stores are actually true pioneers of organic living. The name translates as „reform house“ and indicates where this kind of store began: the roots of the Reformhaus go back to the second half of the 19th century and the so-called „life reform movements“. These were social and socio-political movements that tried to offer an alternative to the increasingly industrialised way of living that had become common in late 19th century Europe. Typical reform movements of that time included anthroposophy, vegetarianism, biodynamic agriculture and even yoga; some reform movements propagated communal living or lobbied for healthier clothing that allowed freedom of movement. If you’re familiar with Waldorf or Montessori schools or kindergartens: these educational concepts can also be traced back to the reform movements. Sebastian Kneipp (yes, the initiator of beauty brand Kneipp) was one of the most famous naturopaths of that time and perhaps you know Bircher muesli? Another product which originated in the reform movements. And now we come to the Reformhaus®: These shops aimed to provide an alternative kind of retail outlet, selling organic foods as well as other sustainably cultivated products. The first of these stores was opened in 1887 in Berlin and in 1900, merchant Karl August Heinen (a resident of the Western German town of Wuppertal) called his health food store „Reformhaus“. And the Reformhaus® concept was born. The Reformhaus stores offered organic, whole grain and health foods, fresh produce, natural clothing and herbal/plant remedies for customers who were yearning for a simpler, more natural lifestyle rather than the hectic and smog-ridden city life of that time. In 1927 the Reformhaus stores in Germany decided to form the Reformhaus® cooperative (which still exists today). This cooperative was not just a purchasing association but also a community that believed that true health can only be achieved by a holistic approach and that it is crucial to protect the nature around us. When I consider the fast pace of digitalisation in the 21st century I can’t help but feel a similar sentiment sometimes 😉 . But back to Reformhaus® Mayr in Planegg which you can see in the picture above. When I entered the store I could already see the spacious organic beauty section on the left hand side. Then I was greeted by the store owner Michael Mayr and his team. Reformhaus® Mayr offers a extraordinary retail space: the store extends over 850 sq m and three floors. 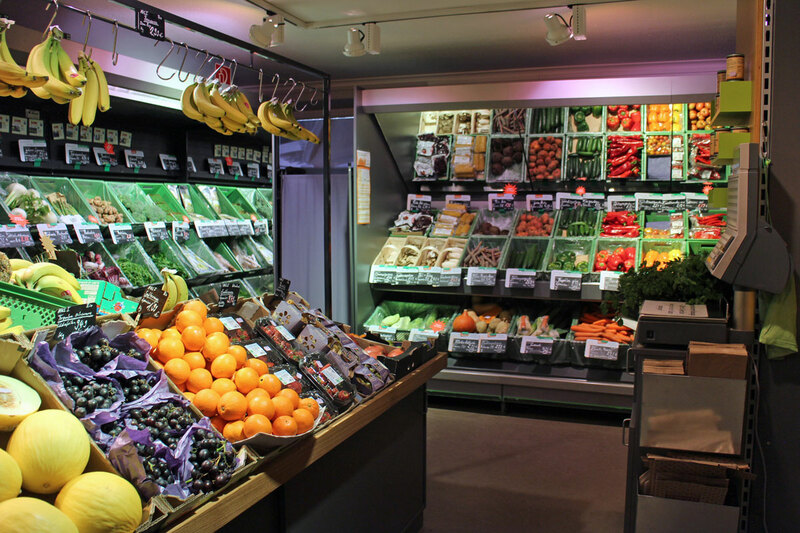 There’s a Day Spa in the basement and a store with food and organic beauty on the ground floor – besides a large selection of teas, spices, mueslis, sandwich spreads and other organic food products I also spied a bakery counter and a fresh produce section with fruit and vegetables! The first floor is dedicated to the Mayr’s Bistro restaurant and the wine and cheese departments. Reformhaus® Mayr is a family-owned business. The first Mayr Reformhaus was opened in 1957 by Margot Mayr in Munich, followed by a second store – also in Munich – and then the store in Planegg. Michael Mayr (the third generation of the Mayr family) took over in 1998 and began to renovate and reinvent the business – whilst at the same time going back to the roots of the Reformhaus®. The holistic approach is visible everywhere in the store, Michael Mayr offers his customers a true wellness experience for all the senses. 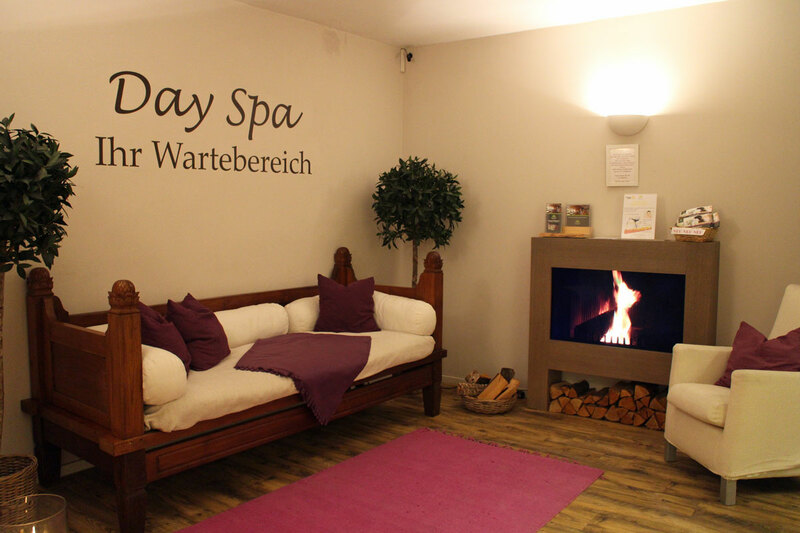 My day started with a 2-hour beauty treatment in the 100 sq m Mayr’s Day Spa. Spa manager Sabrina Schein showed me around the facilities: there is a cosy waiting room and two treatment rooms as well as rooms for podological treatments and whole-body treatments (this room had a beautiful bath tub). After I had stretched out on the warmed massage table Sabrina began to scrutinise my skin; she asked me a lot of questions about allergies and illnesses. Then she selected suitable products for my skin from the portfolio of organic German brand Annemarie Börlind. The treatment began with a mild cleansing routine (including an enzyme peel), followed by a gentle face steam and a more thorough pore cleansing. Then my skin was hydrated with hydrosols and moisturising gels from Börlind, followed by a face massage with plant oils (including a neck massage which my tense neck muscles loved 😉 ). The highlight of the treatment was the algae mask which was applied to my face when it was still almost liquid and then hardened to an almost pudding-like consistency: I love the cooling feeling and intense hydration; even a few days later my skin still felt the soothing effects! While the mask was hardening out, Sabrina massaged my feet – and afterwards I felt invigorated from top to toe 😉 . The Milky Way: After the mask Sabrina applied a day cream which she blended with Annemarie Börlind’s BB Cream. That way the skin gets all the hydration that it needs (and that many BB Creams don’t provide by themselves) whilst still evening out the teint and toning down redness and discolouration. Sabrina calls this technique The Milky Way – and my skin certainly had a beautiful glow. As I was dressing myself afterwards I thought about how much I like facials that are done manually, by human hands, rather than machine-provided cosmetic treatments. I feel that there’s a different and more beneficial kind of energy that flows from the hands to the skin. And this energy seems to have a lasting effect on the skin, much more so than the most advanced technological skin care treatment. I really want to write an article about this topic sometime! After the treatment my skin felt deeply moisturised and really plumped up. I love that feeling. Since my face looked so fresh, Sabrina only applied a touch of makeup. 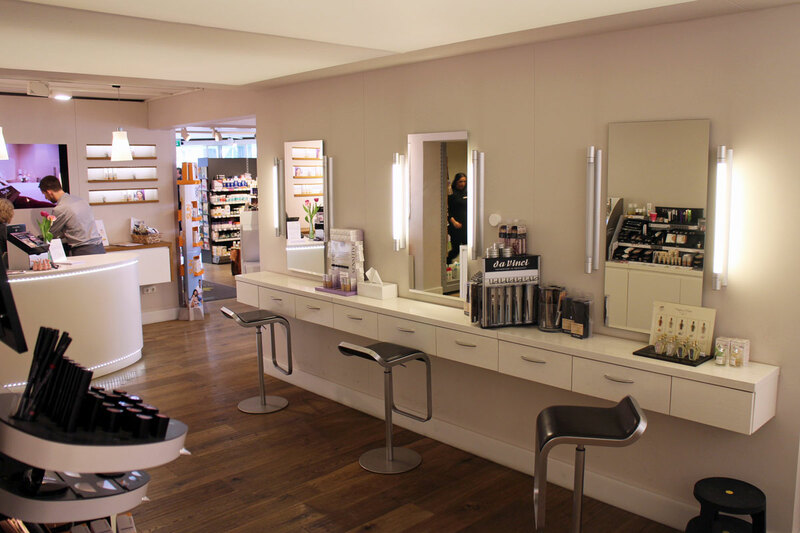 The organic beauty section on the ground floor also features a kind of open makeup/makeover space – you can see it in the picture above. After I sat down in front of one of the mirrors, Sabrina dusted my skin (which was already evened-out from the BB cream) with a powder from DadoSens (another Börlind brand) to mattify the T-zone. Some black mascara and a swipe of matte berry-toned lipstick (from the new Annemarie Börlind summer collection) and I was ready to roll! 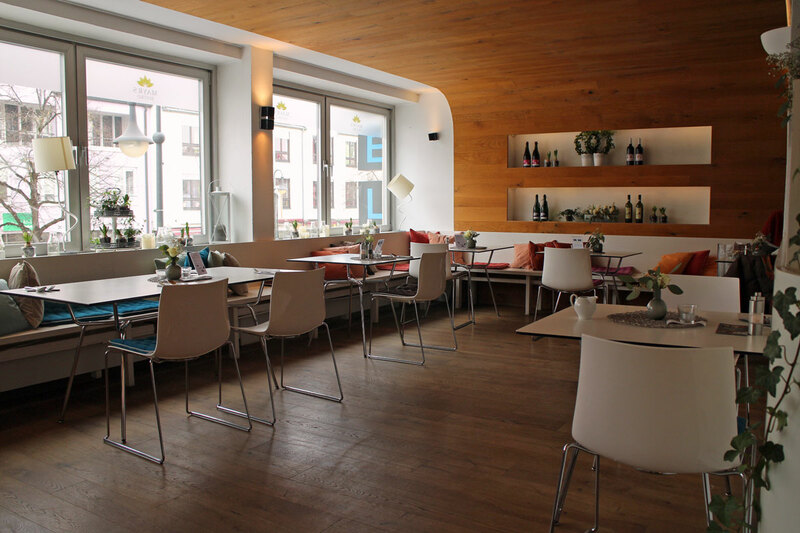 We went up to the first floor, to Mayr’s Bistro whose interior design looks rather Scandinavian. 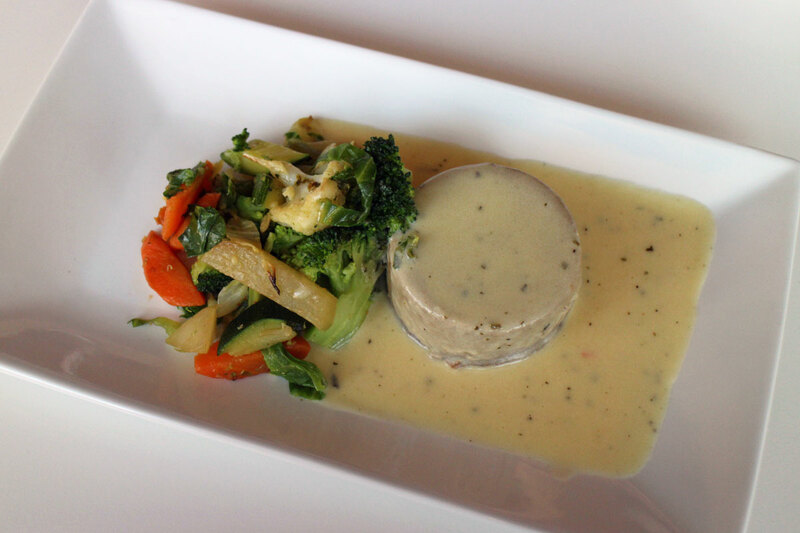 The restaurant serves vegetarian and vegan cuisine during lunch-time; as a self-proclaimed gourmand I simply had to try the entire 3-course meal 😉 . The aperitif was a fresh smoothie whose ingredients – and health effects – were thoroughly explained in the menu card. I was particularly impressed with the main course, a mushroom soufflé with vegetables; the soufflé texture was light yet still so aromatic! I believe that mushrooms can be one of the best „meat replacements“ if they are prepared properly – I once visited a vegetarian temple restaurant in Shanghai which really opened my eyes to the possibilities of mushroom dishes! But I digress; let‘s go back to Mayr’s Bistro which can also be booked for events in the evening. The chef who prepared the amazing soufflé was Solomon Tsegaya whose Ethiopian father was already a leading chef. 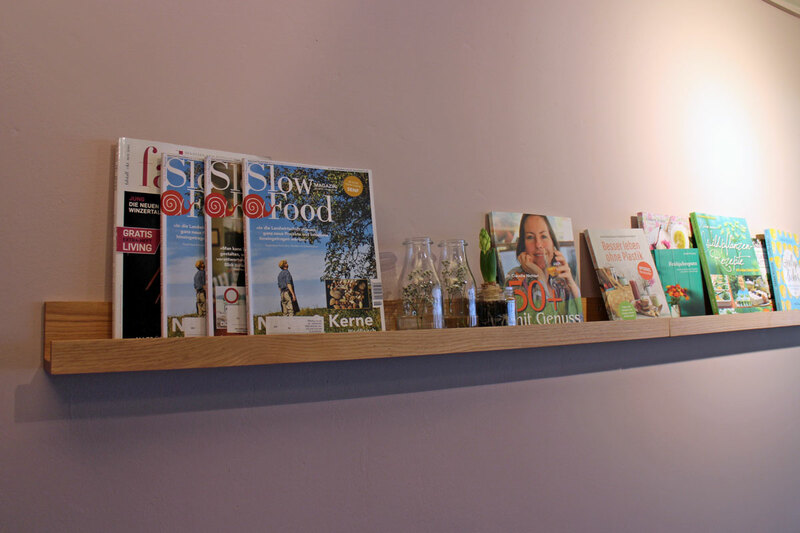 Nutritional specialist Conny Hock had to smile when she saw me taking pictures of the reading corner of the restaurant. Mayr’s Bistro is a member of Slow Food, an international initiative which promotes local and regional food and traditional cooking techniques. Reformhaus® Mayr also offers a good selection of organic wines in a separate, temperature-controlled section of the restaurant. And speaking of choices: After lunch I checked out the organic beauty section on the ground floor in more detail. 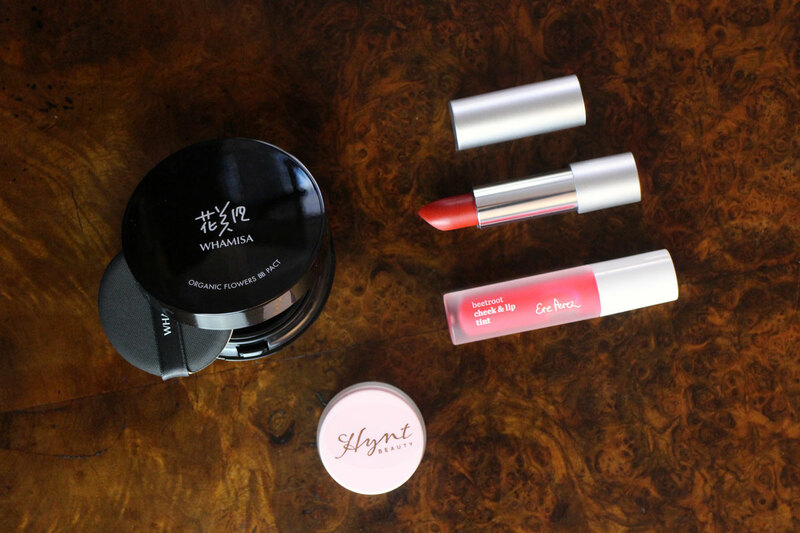 The brand selection is comprehensive and includes German classics like Annemarie Börlind, Weleda and Dr. Hauschka but also Reformhaus®-exclusive beauty brands like Alsiroyal and Arya Laya. I also saw Santaverde, Pharmos Natur, Lavera, Logona, Sante, Primavera, Lakshmi, Regulat Beauty, Martina Gebhardt, Heliotrop, Khadi, Farfalla, Cattier, Speick, Sonett, Luvos and Schoenenberger – all German brands except Farfalla which is Swiss respectively – as well as natural hair colourants from brands like Naturtint and fragrances from German perfume manufacturer Florascent. I particularly noticed the large selection of aromatherapy products – another aspect of holistic beauty as the Reformhaus® sees it: beauty is not just something external but also comes from the inside. 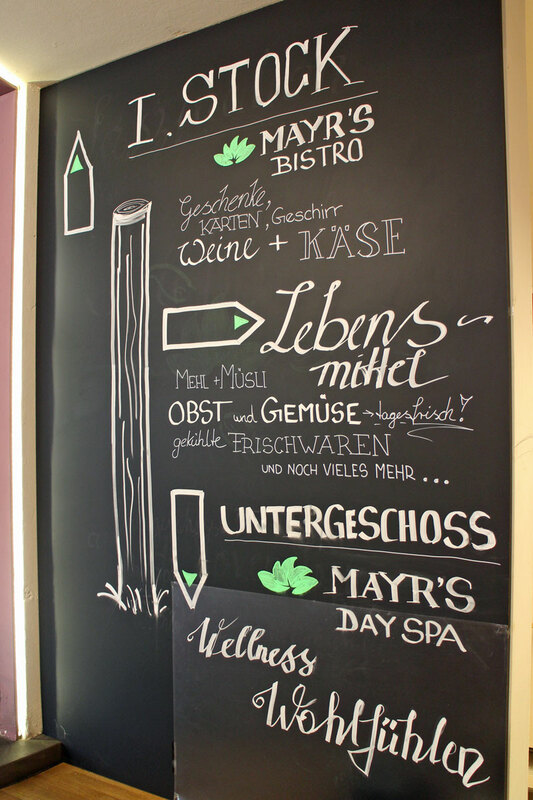 And not just from the delicious food served in Mayr’s Bistro 😉 but also from the products sold in the departments for natural remedies and plant-based nutritional supplements. Customer advice is a top priority in the Reformhaus®, by the way: whilst I was touring the store I noticed a number of other customers asking questions about products and health issues, which is why the Reformhaus® stores make sure that staff undergo regular training. A thorough knowledge of the brand portfolio is of key importance when you work in a Reformhaus®. My visit to Reformhaus® Mayr ended with a final photo together with Michael Mayr who is working in the store every day. After my visit to the Mayr store I really want to visit other Reformhaus stores as well – and discover more about the Reformhaus® brand in general. By the way, if you’re wondering about the „®“: Reformhaus® is a Registered Trademark. All official Reformhaus stores in Germany and Austria carry this logo and trademark. The Reformhaus association also administers a specific product certification, the „Neuform“ seal. Neuform shares a number of certification criteria with the big European organic certifiers and testifies that the product has been manufactured according to the standards of the Reformhaus (including cruelty-free, organic ingredients, no ingredients from dead animals and no GMO ingredients). It took cobicos almost two years to develop the new Sunny Day Tagescreme SPF 15 but now the product is finally here! I was very curious about the new face cream so I am glad that I can now show you this new moisturiser, in cooperation with Birgit Corall from cobicos. 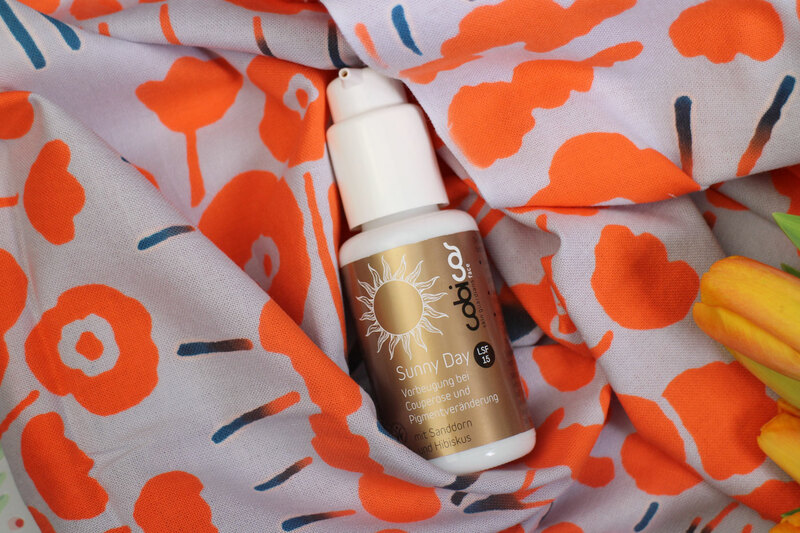 Spoiler alert: I can understand why it took so long to develop this product; the Sunny Day Cream LSF 15 from cobicos feels amazing on the skin, it doesn’t feel like I am wearing a sun protection filter at all! And the early spring weather we have at the moment is the perfect time to test out the cream: in February and March the rays of the sun can already be quite strong while my skin is still pretty sun sensitive from the very long winter that we’ve had this year. 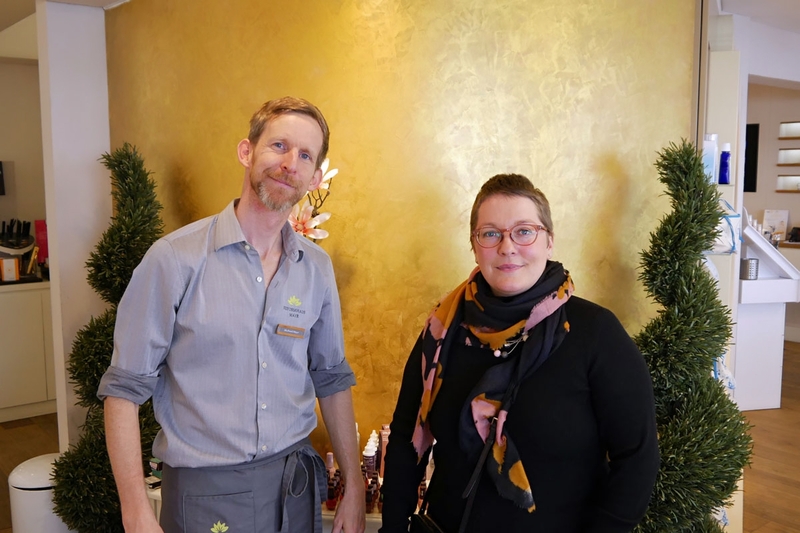 I already introduced Birgit Corall three years ago in this interview: She is the German distributor of organic New Zealand brand Living Nature and a few years ago launched her own high-end face care brand, with a product portfolio that complements the Living Nature product ranges. Cobicos started out with three serums but the brand also offers moisturisers, cleansers and, as its newest product, the Sunny Day Cream SPF 15. All cobicos products contain as many active ingredients as possible; Birgit’s requirements for her brand are very high: cobicos‘ products must work just as well as conventional, non-organic cosmetics and combine high performance with luxurious textures. Most ingredients are sourced from New Zealand – like the organic manuka honey which has an MGO value of more than 100: this honey is especially rich in nutrients, amino acids and minerals. It regenerates and moisturises the skin and also has an anti-microbial effect. The other plant actives included in the cobicos formulations – like hibiscus extract – are also as highly concentrated as possible. 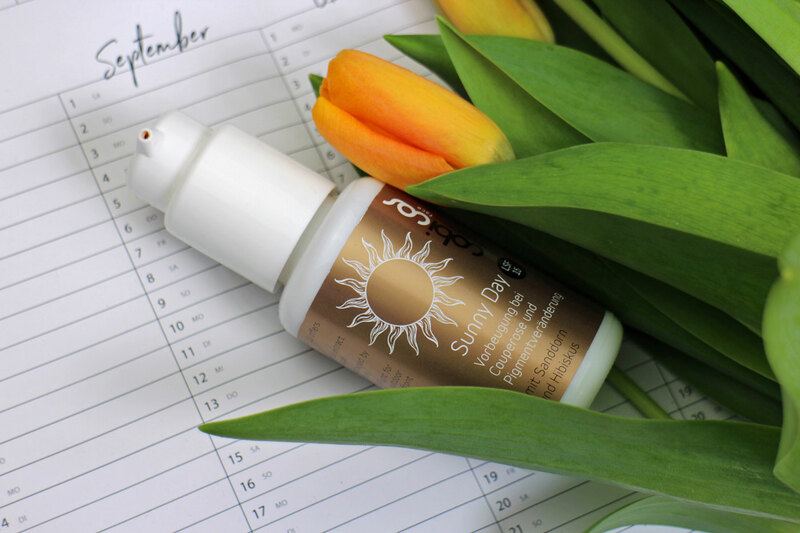 But now let’s talk about the new product, the Sunny Day Cream SPF 15! The creamy fluid is packaged in a glass bottle with pump dispenser and the texture is pliable and non-greasy. It is easy to distribute the cream on the skin and it doesn’t leave any white residue, even when you apply a larger amount. The day cream is not too thin either which is important to me because a day cream (that I wear every day) must offer a balanced mixture of hydration and lipids. My skin feels smooth afterwards which makes the Sunny Day Cream an ideal makeup base. The moisturiser has a very light floral scent which I like, and the finish is satinised rather than shimmering or shiny. I apply my usual mattifying powder on the T-zone afterwards. A few words about the sun protection: Sunny Day offers a sun protection filter of 15 which means that your skin can stay 15 times longer in the sun than you could without a sun cream. In order to achieve this effect it is important to use enough cream to actually reach the maximum SPF level (this applies to all sun creams and sun blocks, by the way). For the SPF 15 day cream you need around 2mg per square centimeter of skin – use at least a third of a teaspoon full of Sunny Day to get the SPF 15 effect. This is an approximate value, of course; if you want to be precise you’d need to actually weigh out the amount of sunscreen. However, no sun protection product blocks the sun‘s entire radiation spectrum: SPF 15 absorbs/reflects around 94% of UV radiation, SPF 30 manages 97% and SPF 50 reaches 98%. This also means that the protective effect isn’t getting much stronger with the higher SPFs, they just extend the period of time that your skin can be exposed to the sun without burning. In my opinion, SPF 15 is sufficient as a daily sun filter in Germany, unless you use a skin care product which makes the skin more photo sensitive (like retinol or highly-concentrated fruit acid peels). 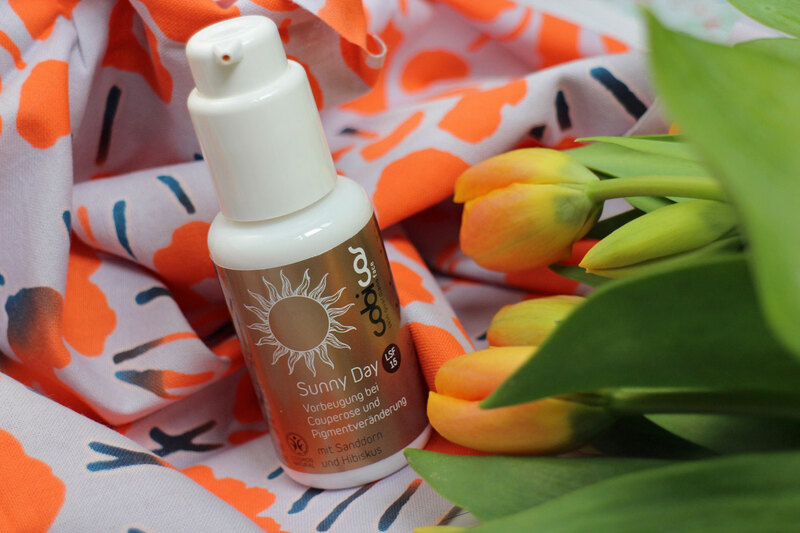 The Sunny Day Cream uses mineral-based non-nano titanium dioxide to protect the skin against UVA and UVB radiation. The UVA protection equals a third of the UVB protection level that is listed on the packaging (this is the EU standard). In addition, the cream contains sea buckthorn oil which protects the skin against free radicals and also helps against burns (which is why sea buckthorn oil is sometimes called „radiation oil“). A good sun protection cream also needs antioxidant ingredients: hibicus extract reduces redness and increases skin elasticity whilst totarol (which is derived from the New Zealand totara yew tree) protects the skin against free radicals. Sunny Day also contains magnolia extract which has an anti-inflammatory effect (it also protects against oxidation from, for example, UV rays) and skin-soothing black oat extract. I had never heard of akoobo before – it’s an extract from the root of the African Caesalpinia Benthamiana plant. This root extract is used in traditional medicine in Ghana but is now also increasingly undergoing scientific research. Akoobo offers additional antioxidant protection and helps to boost the skin’s collagen and elastin production. Cobicos‘ akoobo extract is from wild harvesting, sourced from a small fair trade company. Sunny Day Cream is based on water, non-nano titanium dioxide, organic glycerin (less than 5%) and processed oils as well as coconut oil – these oils are probably responsible for the smooth and pleasant texture of the moisturiser. The light fragrance does not contain any photo-toxic ingredients. One bottle of Sunny Day Cream SPF 15 contains 50ml (which is a good amount) and costs 45 Euro. You can buy the product in all stores that sell cobicos – organic speciality retailers, organic beauty institutes (Müller Naturshop also carries the cobicos range) or through the company’s own webshop. I received the product for review purposes. Finally I’m travelling again! In spring-time I love visiting the South of England and Northern France or, alternatively, Belgium and the Netherlands – travelling on both sides of the Channel (you can check out a previous article on this travel experience here – German only, sorry!). And yes, I have already seen both Ch’ti movies (the 2008 movie Bienvenue chez les Ch’tis (Welcome to the Sticks) was one of the most popular French comedy films of all times. And the sequel has just been released 🙂 . Of course I also had to do a bit of beauty-hunting on my travels: on the picture above you can see the Soft Powder Brush from the PowderBleu Collection from US brand Real Techniques which I bought in a Boots drugstore in Eastbourne in the South of England. I was very keen to check out the PowderBleu range because these brushes feature synthetic bristles that are said to be just as fluffy and soft as the original squirrel hair. I recently read that this brush collection will soon come to Germany. UK supermarket Waitrose had the largest selection of organic beauty in the whole of Eastbourne, so I bought the Rejuvenating Frankincense Facial Wash from UK brand Neal’s Yard Remedies. The facial wash contains 88% ingredients from organic agriculture and 100% natural ingredients. Like the wonderful Nourishing Lavender Shampoo the facial cleanser is based on sunflower oil but is easily rinsed off with water. And has a beautiful frankincense fragrance. On the other side of the Channel – in Lille (Northern France) – I visited a pharmacy to buy a small tube of the aromatherapeutic Hand Cream to Relax from French brand Sanoflore. The hand cream is scented with notes of camomile and orange (there are two other hand creams in the range). I also bought the Comfort Mask from French brand Gamarde which was developed for atopic skin and is said to soothe the skin immediately. Apply the mask to the face and leave it on for 10 minutes; don’t rinse it off but simply remove the last traces with a soft tissue. The mask has a mild formulation and does not contain fragrance. Of course I also went to the Lille store of organic beauty brand Avril (I had already visited Avril’s Paris outlet last December). In the Lille store I bought the new BB Cream from Avril – the products are all so beautifully affordable! I have already written about Avril’s new water-resistant mascara here. Finally I simply had to check out the Lille outlet of Oh my cream, a French retail chain for niche beauty. They had the new Ready Steady Glow Daily AHA Tonic from Ren Clean Skincare which looked interesting: the toner contains lactic acid and was probably inspired by the famous Glow Tonic from Pixi. I’ll try it out properly at home. Ren Clean Skincare was acquired by multinational cosmetics group Unilever some time ago. My new blog post for online store najoba has just been published! In this article (German only, sorry) I’m writing about organic beauty from Asia, for example about trend products from Korean brand Whamisa (such as the innovative cleansing gel which you whip into a foam) but also about TCM-inspired beauty from Austrian brand Master Lin – which offers one of my favourite hand creams for hand massages. Enjoy! 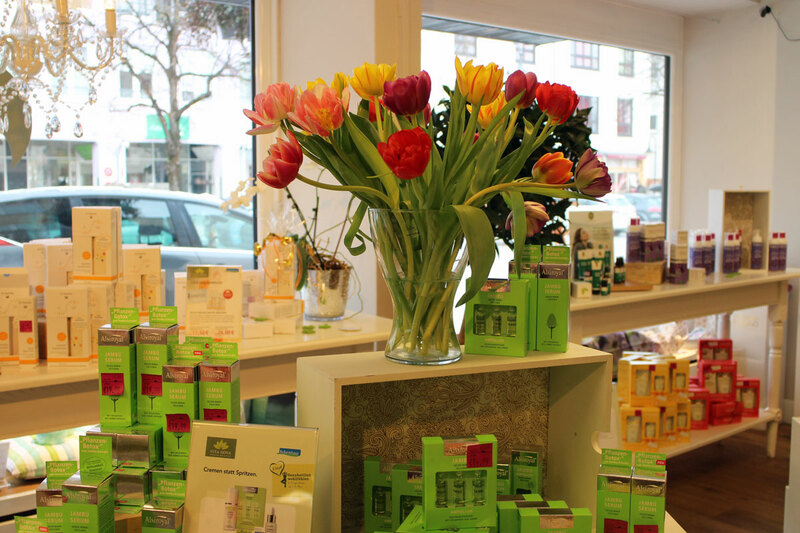 German drugstore chain Müller has relaunched its organic beauty brand Terra Naturi. Green Shades of Red is offering a good overview of the new product portfolio. And DM drugstore chain’s organic beauty brand Alverde will introduce an apple-scented children’s, Little Green Kids. I’ve seen a first pic on Instagram already. You either love or hate the Belgian city of Lüttich (in French/English: Liège). I definitely belong to the first group – I don’t mind the ugly 1960s/1970s apartment blocks on the Maas riverside nor the slightly dingy city streets. For me, Liège is a kind of combination of Paris and England – and it still has its very own style. I also associate good memories with Liège: more than ten years ago I had a bit of an epiphany there – and these new inspirations and ideas set me on a different life path. Yes, I like Liège. And since the city was on my travel route back from England and Northern France I decided to break my journey there. I have already written a detailed beauty shopping guide for Liège in 2011. However, back then I wasn’t that focused on organic beauty so this is a kind of update to the 2011 guide. Here are all the places you can buy organic cosmetics in Liège – every store is in the city centre and you can walk from one location to the next. 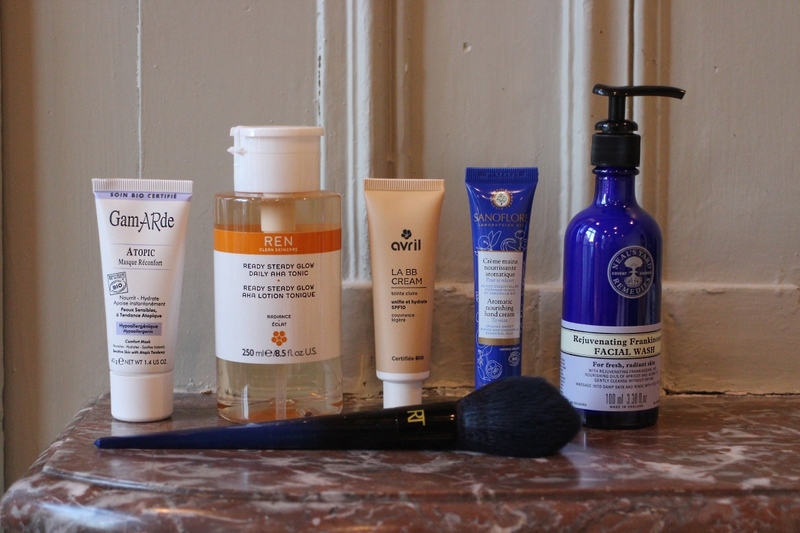 And at the end of the article I’ll show you all of the exciting beauty products that I bought! 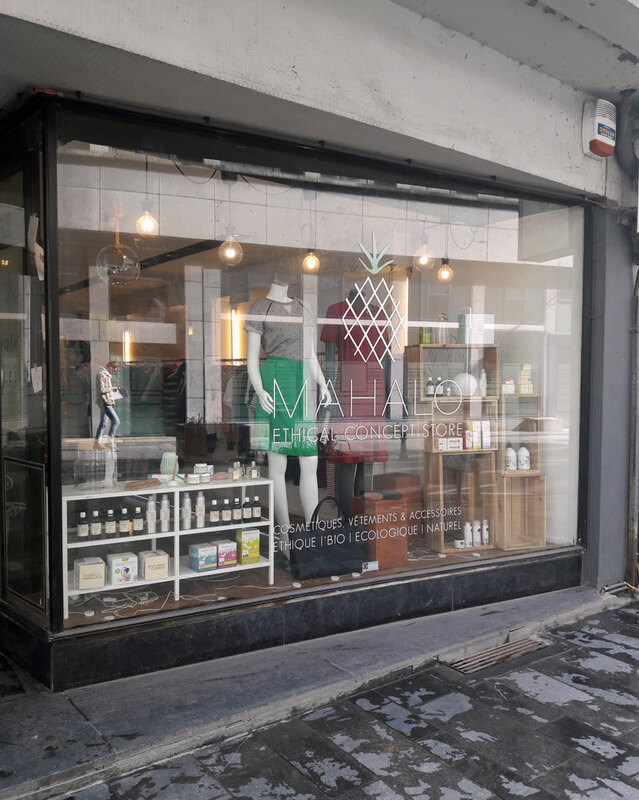 ♦The first store on my shopping list was the new Ethical Concept Store Mahalo in the Rue de l’Université 35. Mahalo sells eco fashion and organic beauty, including some Belgian brands, such as Cîme. 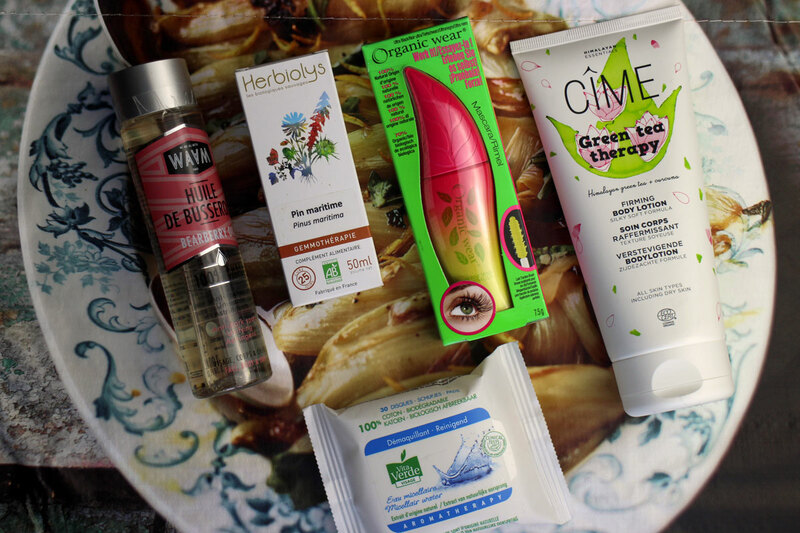 However, I also found the deodorants and soaps from French brand Clémence & Vivien, the shampoos from Danish brand Unique, makeup from Zao, zero waste beauty from French beauty brand Lamazuna and the super soft makeup remover cloths from Les Tendances d’Emma. ♦ The pedestrianised Rue Pont d’Île also features an outlet of Belgian drugstore chain Di. Every year, Di seems to offer more organic beauty, for example the makeup of French beauty brand Boho Green, the product ranges of Cattier, Weleda and Waam (more on Waam at the end of this article! ), sun protection from Acorelle but also some products from Burt’s Bees (US), Lovea and Lady Green from France and Natura Siberica from Russia (this brand’s products are usually near-natural rather than organic). The store also carried some of the product ranges of Physicians Formula (I was mostly interested in the Organic Wear sub-range). 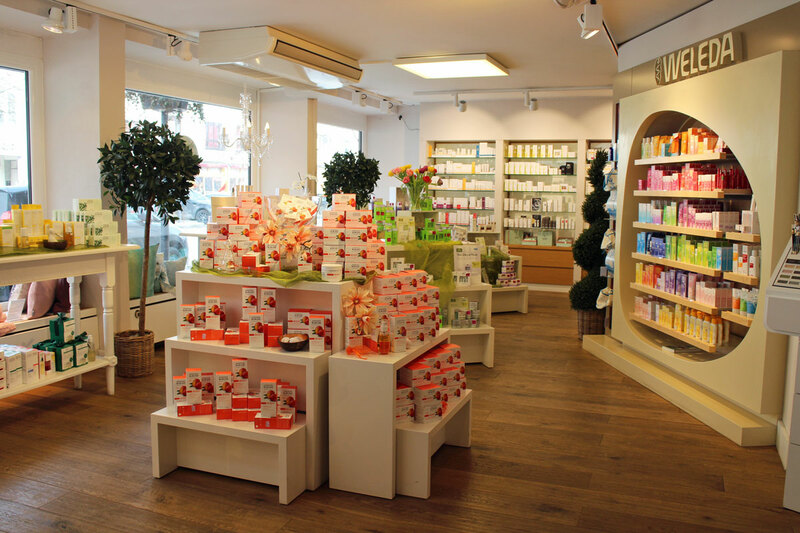 ♦ If you’re in Liège you should definitely visit organic store Al’Binète which is located on Place Cockerill 18. Al’Binète offers a good selection of certified organic beauty from German brand Dr. Hauschka and the French beauty brands Emma Noel, Eau Thermale Montbrun, Lamazuna, Eolesens (the hydrosols!) or Ylaé. The store also has a comprehensive selection of essential oils and natural remedies, including gemmotherapy supplements. I can also recommend organic supermarket ViBio in the Grivegnée neighbourhood of Liège. ♦ Some more tips: You can find French brand Melvita in the department store Galeria Inno (Place de la République Française 15, in the Les Galeries Saint-Lambert). 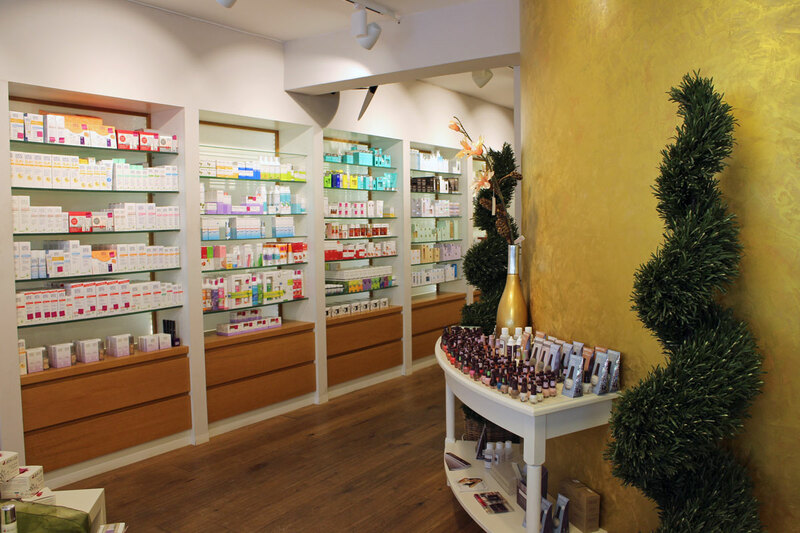 MultiPharma (a Belgian pharmacy chain) sells Bio Beauté by Nuxe. And in the shopping mall Mediacité in Liège’s Longdoz neighbourhood you can find a branch of parapharmacy iU by Multipharma which sells beauty brand Indemne from the South of France. ♦ And I definitely need to mention the good selection of ethnic beauty in Liège, for example at Kausar Ethnic Beauty on Place Marché 12. Besides many conventional afro/multi-textured hair beauty brands you can also find shea butter and moisturising plant oils, or certified organic beauty from Noire Ô Naturel or Doobaline. I was shopping in supermarket Delhaize when I spotted the small makeup remover pads from Vita Verde, which are saturated with micellar water. Usually these pads are only available in larger outlets of the Di drugstore chain (which belongs to the Delhaize group). I was very happy about this discovery, the compact packs with 30 pads are so convenient for travelling. New in the Di portfolio was organic French beauty brand Waam. The brand name is an acronym of the phrase „We Are All Metis“ („metis“ is a French term; originally from French Canada where it denotes a person of mixed ancestry. In current usage „metis“ describes people of different skin tones or mixed-race skin colours).Waam’s products are expressly designed for people with all kind of skin types, no matter what the colour. I was curious about the Huile de Busserole from Waam, (in English: bearberry oil), an oily macerate with bearberry leaves which is supposed to help against hyperpigmentation (it contains natural arbutin (hydroquinone)). Wow! Also at Di I bought the Organic Wear Mascara Work it! from Physicians Formula. The leaf-shaped packaging with the pink-yellow colours looked so summery! I look forward to testing out this mascara – it has a brush with plastic nubs which looks interesting. I have already written about an earlier mascara launch from Physicians Formula in this 2011 post here. When I was visiting the Ethical Concept Store Mahalo I simply couldn’t resist the Green Tea Therapy Firming Body Lotion from Cîme. This Belgian company uses antioxidant plant extracts from the Himalaya mountains and supports social projects and small farmers in Nepal. A very likeable brand! The new body lotion contains green tea, turmeric, rose cherry oil and chiuri butter from the Himalaya region. I have already presented the Skin Care Oil from Cîme in this 2015 blog article. And of course I couldn’t leave Belgium without stocking up on my favourite gemmotherapy supplements – Belgium is where gemmotherapy was first discovered in the middle of the 20th century. I have been using these plant remedies for two years; my favourites are fig and blackcurrant. In 2016 I wrote an article about the power of these plant buds. Organic supermarket Al’Binète offered a particularly large selection of gemmotherapy products; I bought the bud extract of the sea pine Pinus maritima from Herbiolys (which helps, for example, against head colds! ).